The latest series from the Erin Hunter team! 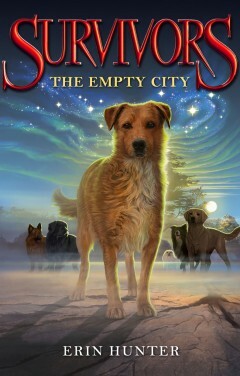 Lucky has always been a Lone Dog, but when the Big Growl strikes, his whole world changes. With enemies at every turn, Lucky knows he can’t survive on his own, and he falls in with a Pack. He’s not sure he’s ready to rely on other dogs – or have them depend on him – but in a dangerous new world, he may not have a choice.